For an inexpensive dash cam (available on Amazon), the Cacagoo CA03 is impressive. It takes good day video, and sports the looks and out-of-box experience of a much pricier item. That said, the detailing in the dark areas of night video is weak, and there’s no GPS. The latter is hardly surprising given the price, but the former may be a deal-buster if you drive at night a lot. I’m not going to take cheap shots at the name—the product doesn’t warrant it. Just forget that last “o” and think Windy City. As I said, the CA03 doesn’t un-box or look anything like how little it costs. The box it ships in is rendered in the “serious” flat-black that many upper-crust product packages employ. It also reads “Car DVR.” I like it. Sounds classier than “dash cam,” though indeed that’s what it is. 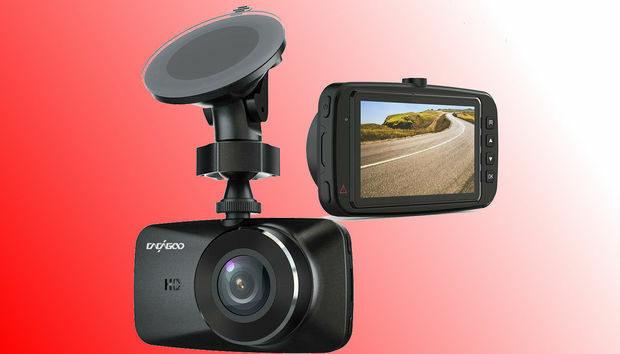 The CA03 is a classy looking dash cam with a nice LCD display. The CA03 is as handsome as its packaging: thin with a raked face, ergonomically recessed buttons, and a 2.7-inch color display. The buttons are labeled as menu, up and down cursor, OK, display on/off, and what seemed in use to be an emergency/manual record button on the lower left side. I say seemed to be, because there was no mention of it in the somewhat limited user’s guide. Minimal help aside, it’s all straightforward enough. The only oddities are that you can’t access the menu while a manual recording is in progress, and the OK button is used to end a manual recording, rather than a second press on the record button. Go figure. Included with the camera are an auxiliary (cigarette lighter)-to-USB Type A charging cable, as well as a Type A-to-micro-USB data cable for charging via an adapter or transferring data to a computer. 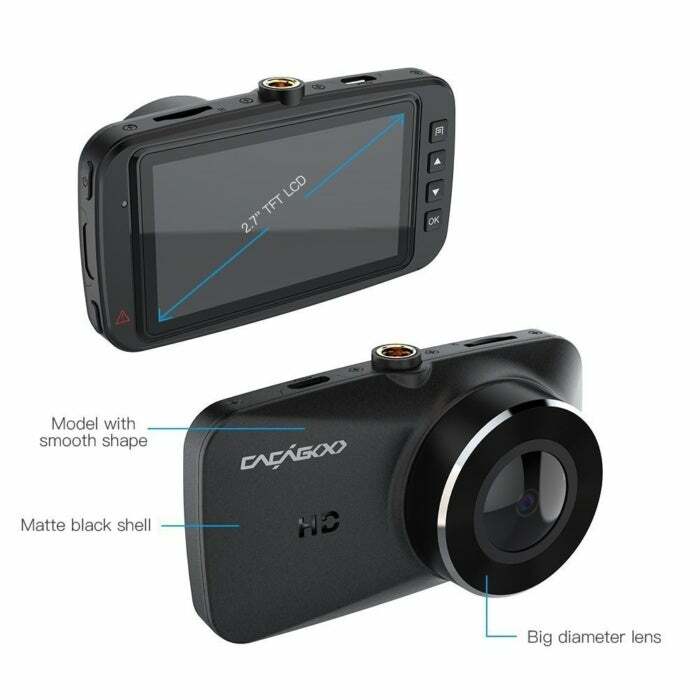 The camera itself sports a good 150-degree field of view (its CA07 cousin offers a wider 170-degree field of view for about $30 more and is available on Amazon). Its speed maxes out at 30 frames per second of 1920 x 1080 video. That’s plenty of resolution for most purposes—higher resolutions rarely add significant detail and eat up storage space more quickly. Storage on the CA03 is SDHC, though you’ll need to purchase a card on your own. As mentioned before, there's no GPS. Other low-priced dashcams we've tested have the same deficit. 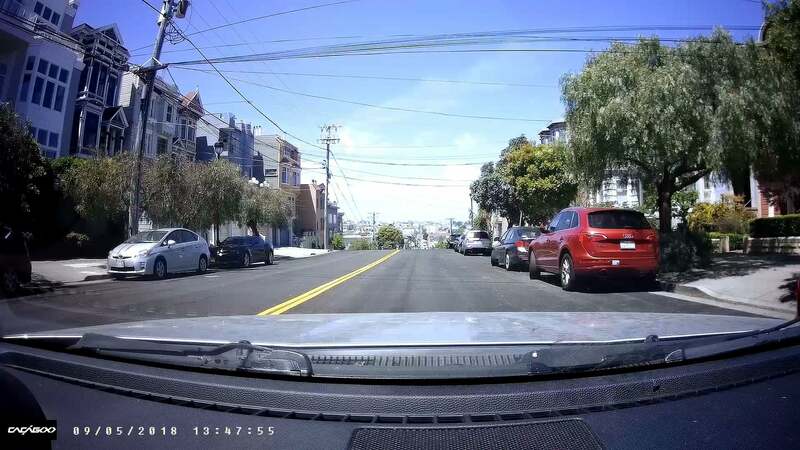 Make sure you set the date and time on the dash cam, so if nothing else you can prove when something happened, if not where. The CA03 ships with a suction mount. It’s one of the sturdier models I’ve tested, with a large amount of grip. It’s adjustable in all directions, not just up and down like the recently reviewed Z-Edge Z4. Features include motion detection, auto-off, up to a half-second time lapse, and a 110mAh battery to keep the camera running in case other power is lost. The CA03 takes nicely detailed day video and adjusts well to medium-light (shadows, decently lit garages, etc.) situations. There is slightly more fish-eye effect than with many cameras, but nothing detrimental. 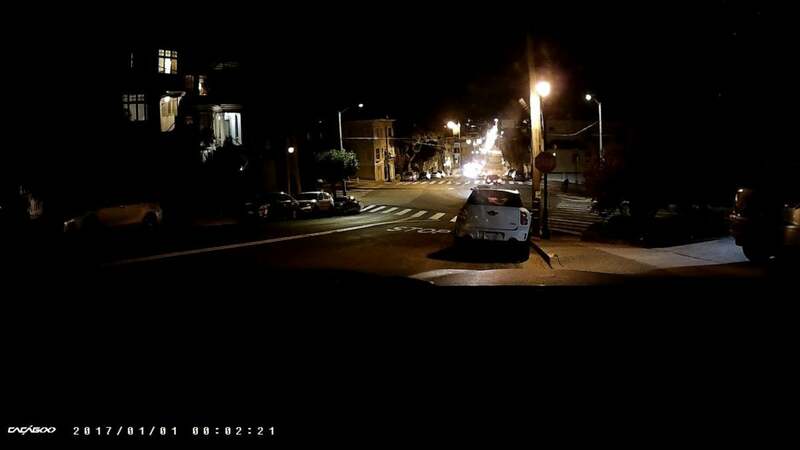 The night video, while fine under city lights, loses the details when capturing in low-light situations. On the plus side, there’s a minimum amount of flare from oncoming headlights. With sufficient light available, the CA03’s captures are nicely detailed. Though there’s an HDR mode, it doesn’t deliver the color saturation we’ve seen with other cameras—at least at our preferred 1080p resolution. But even with the slightly cooler SDR (standard dynamic range) color palette, the CA03’s daytime video will certainly get the job done. As you can see above, the details are decent in the CA03’s night video—where there’s sufficient light. But anything lurking in the shadows will remain forever a mystery. Increasing brightness during playback will show more than you can see in the capture above, so some of the darkness is due to Cacagoo’s processing choices. The G-sensor performed perfectly even with my stiffer-than-normal street/track suspension. There were no false positives, even over big bumps, and it noticed when someone hit me in a parking lot (no damage). I could find no operating temperature specs listed for the CA03, but don't take that as an invitation to freeze or cook it excessively. The test unit ran only slightly warm to the touch, and barely that when the display was off. Though I wouldn’t recommend the CA03 for night use, it’s a bargain-and-a-half when it comes to daytime video. For the price you'll likely be willing to put up with some minor foibles, and weak night video.